Maximize your quilting production and quality with a 20" longarm quilt machine specifically designed for home quilters. This machine is the ideal size for working in any space, including a small apartment. Plus, our manufacturing and design ensure minimal maintenance and easy servicing. Increase your working space with our 10 foot grace company quilting frame. This frame can be expanded to a 12' frame. Let the robot do all the work. This amazing robot can complete even the most complex quilts with ease. The robot comes with a new latest edition laptop with over 200 pantographs already installed. Wind your bobbins with ease with our award winning bobbin winder included with the deluxe package. Over a $300 value. This is the everything included model. 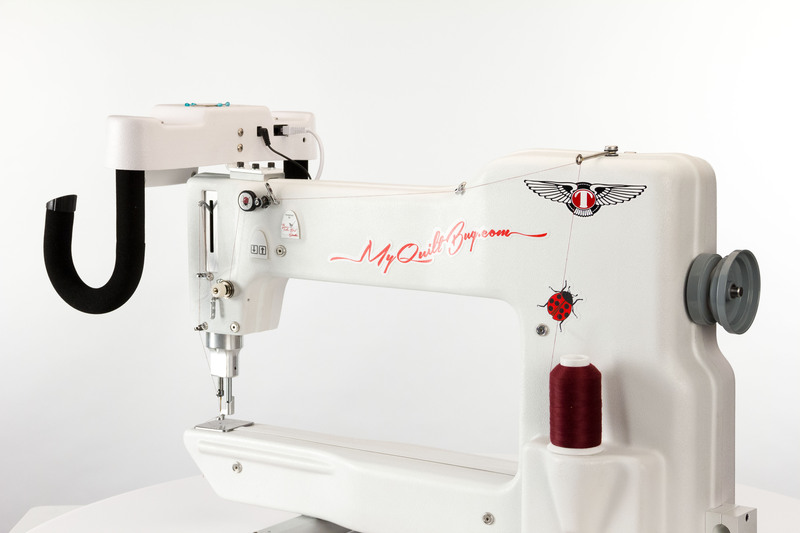 You get the longarm machine, the frame, the laptop, the robot, and the award winning bobbin winder all for under $16,000.